There are unbelievable amounts of history up and down Savannah’s beautiful cobblestone riverfront. 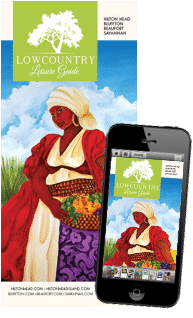 But it can be hard to know what you want to see and where they are, so we’ve compiled a list of everything, check here before you head out! 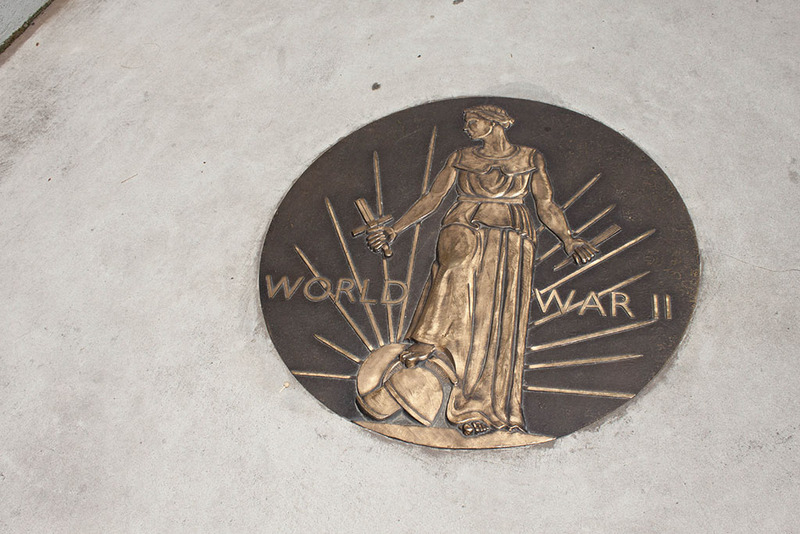 The World War II monument is also known as “The Cracked Earth” monument. The two halves of the globe are split, representing the conflict of a world divided. The monument is lit at night, and inside are the names of all who served from Chatham county, a Purple Heart, and a WWII Victory medal. 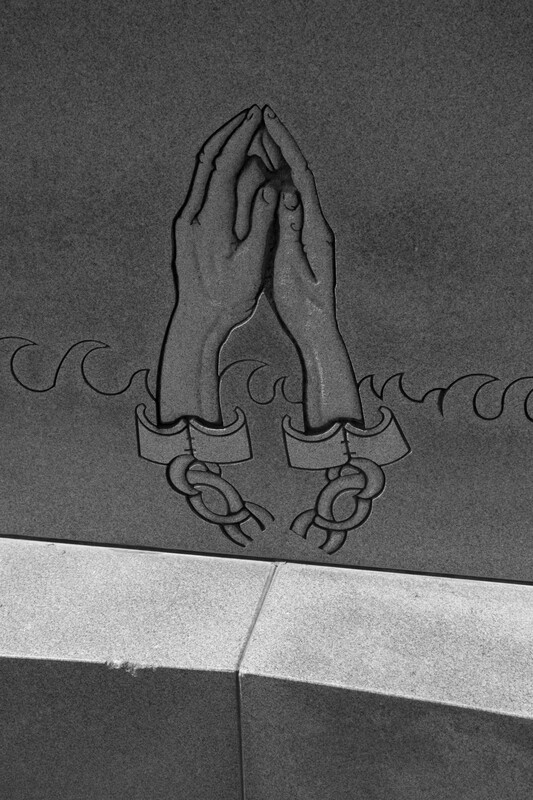 The monument is located just at the center of River Street, on the west side of the Hyatt tunnel. 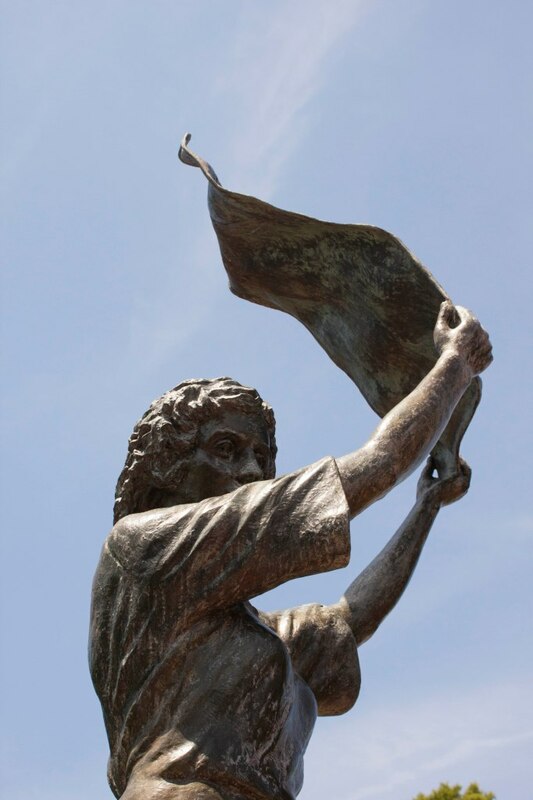 Greeting every ship that comes into the Savannah port is the statue commemorating Florence Martus, the waving girl. 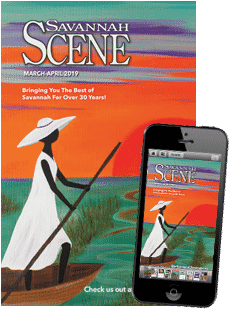 Between 1887 and 1931 Florence took it upon herself to be the greeter of all the ships in the harbor, waving them down with a white handkerchief or lantern. 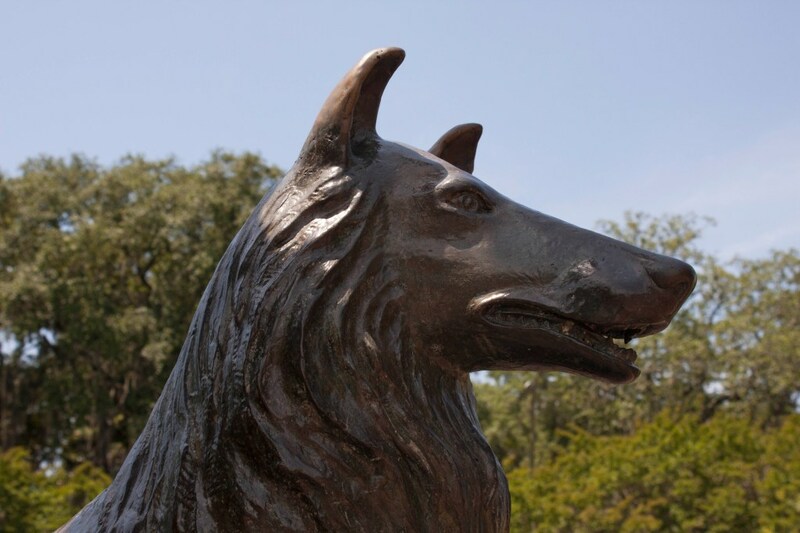 She was the daughter of an ordnance sergeant at Fort Pulaski, living on Elba Island with her brother and border collie. Though there are several speculations as to why she waved down every boat, one of them being that she was waiting for a sailor she fell in love with to return; the true reason is still a mystery. 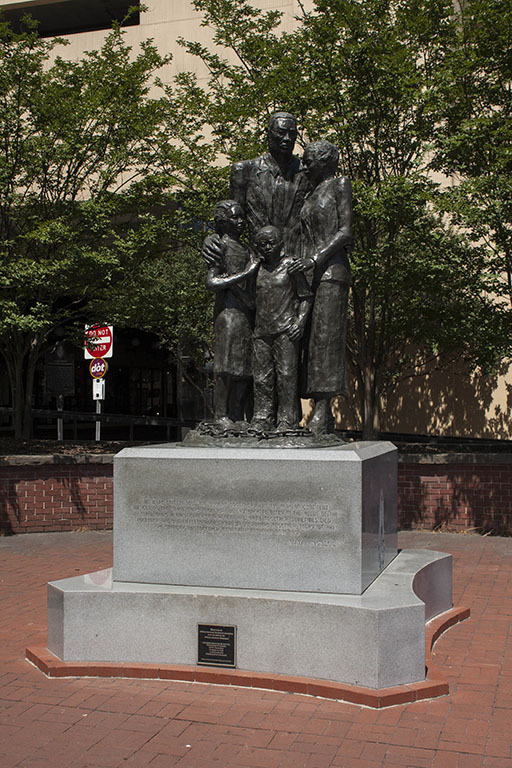 The statue is located at the east end of River Street in a grassy area near the Marriott hotel. 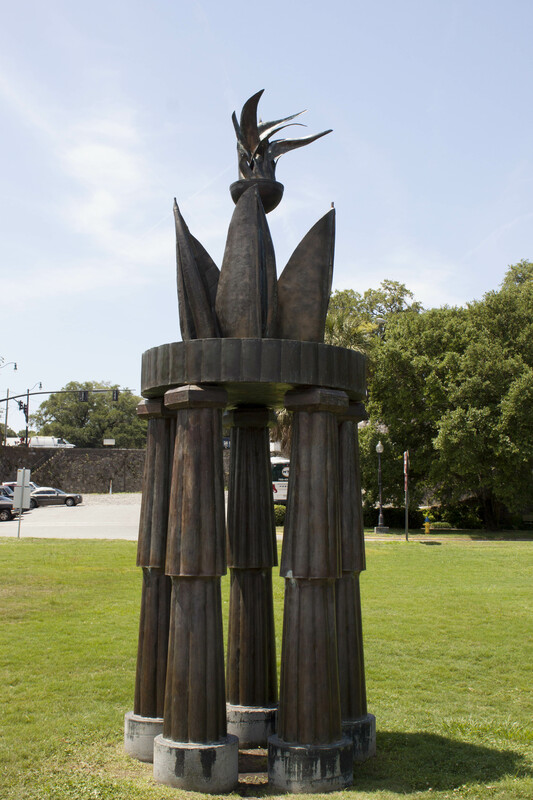 This monument was founded by Margaret Campbell, who organized the Port of Savannah Chapter of the Women’s Propeller Club. 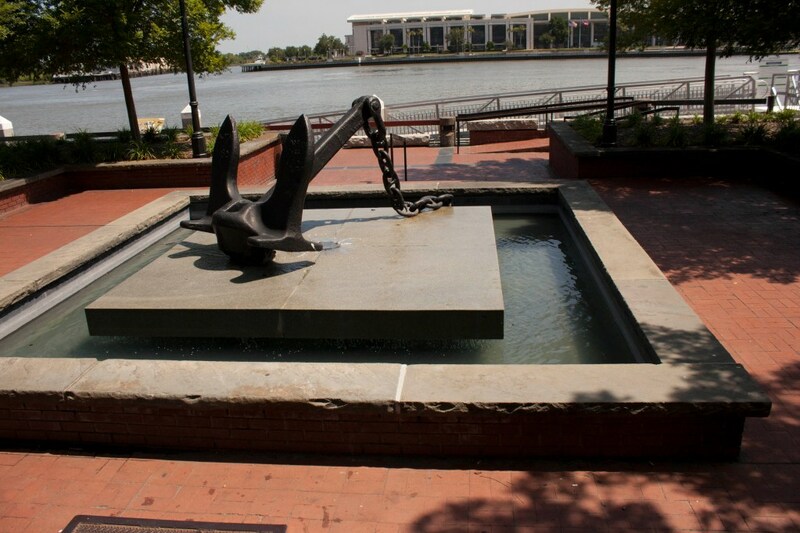 it was built in 1976 and dedicated to all merchant seaman lost at sea. This monument was built in 2002, designed by Savannah College of Art and Design professor Dorothy Spradley. 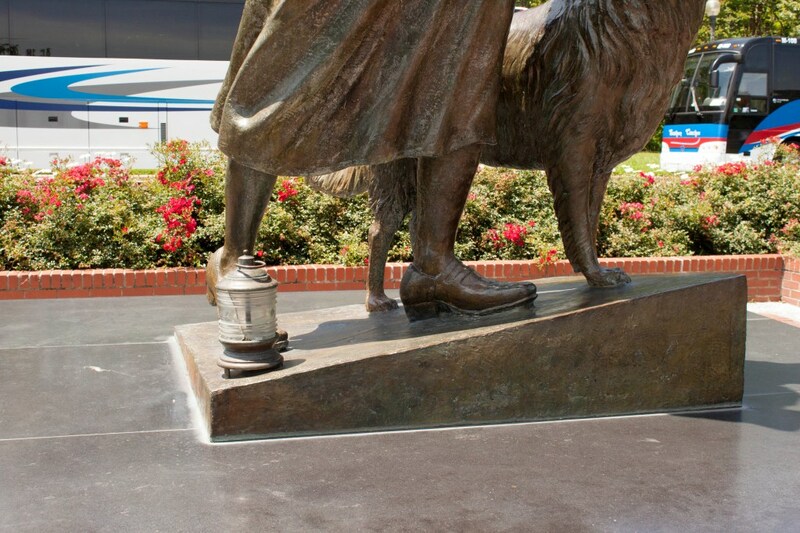 It shows a family embracing with the chain of slavery at their feet. 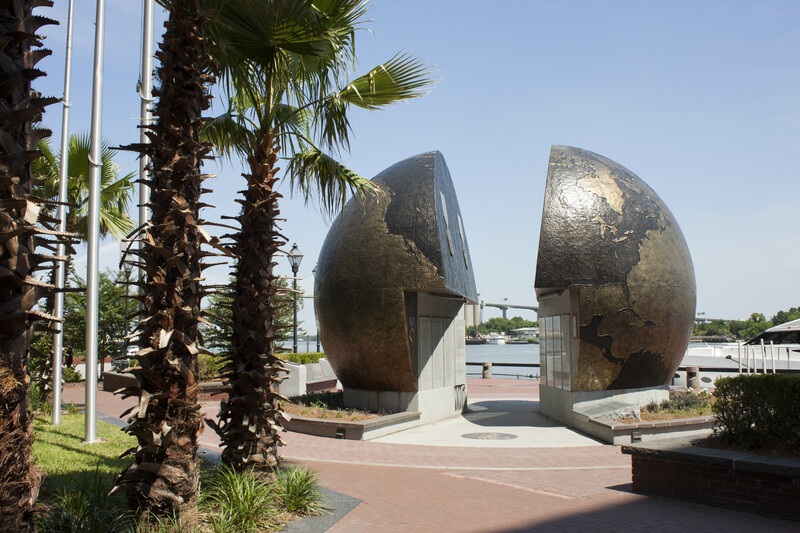 It stands on the east side of River Street, right by the Hyatt Tunnel. Located just right next to The Waving Girl is a monument representing the cauldron that was lit for the Olympic yachting events held in Savannah in 1996. It was created by Ivan Bailey, and the five columns not only pay tribute to the the five Olympic rings, but the style of the columns pay homage to the Greek heritage of the games. 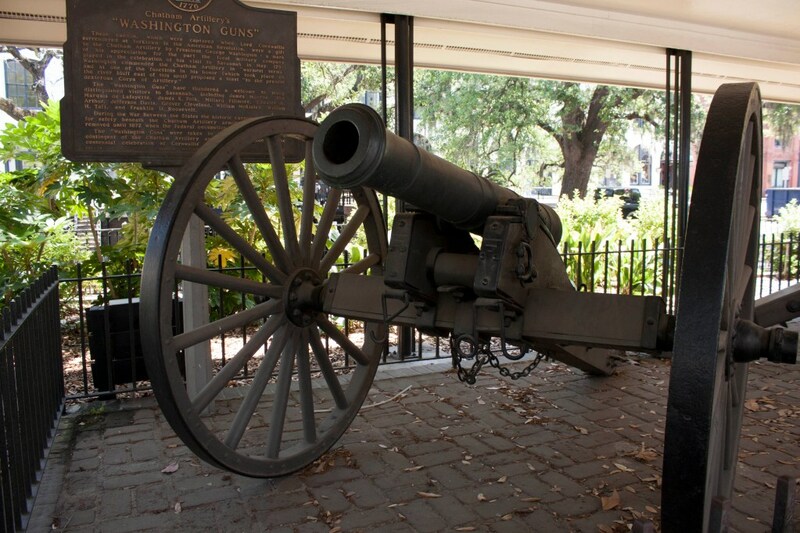 The two cannons were presented to the Chatham Artillery by George Washington in 1791, after he seized them from Cornwallis at Yorktown during the American Revolution. The guns were originally named “La Populaire” and were of French make in 1756. Later, during the Civil War, the guns were buried beneath the Chatham Artillery armory until 1872. They now sit on Bay Street, just to the right of city hall, next to the top level of River Street. 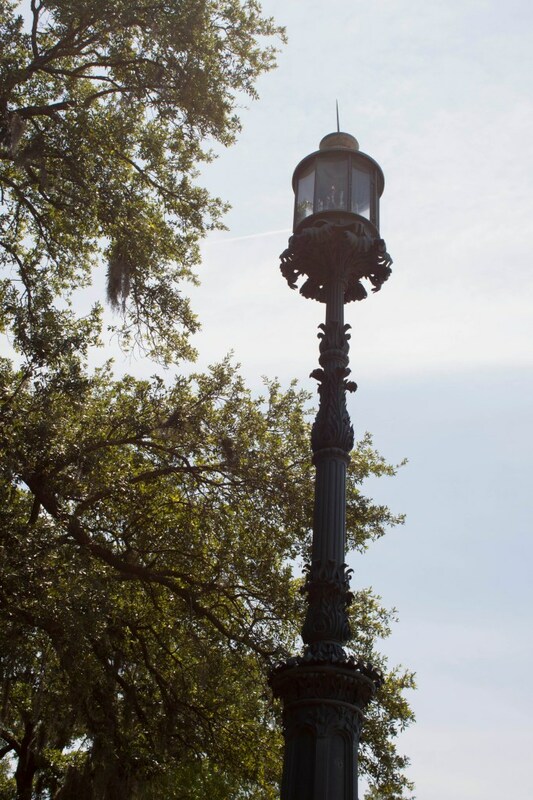 Also known as the Savannah Harbor Rear Range Light or the Beacon Range Light, it was built in 1858 to guide ships into the Savannah Harbor and away from six British ships which were sunk earlier in 1779 to keep French and American vessels away in the Revolutionary War. It was turned off during World War II but has since been restored twice. It now sits at the East side of Emmet Park.